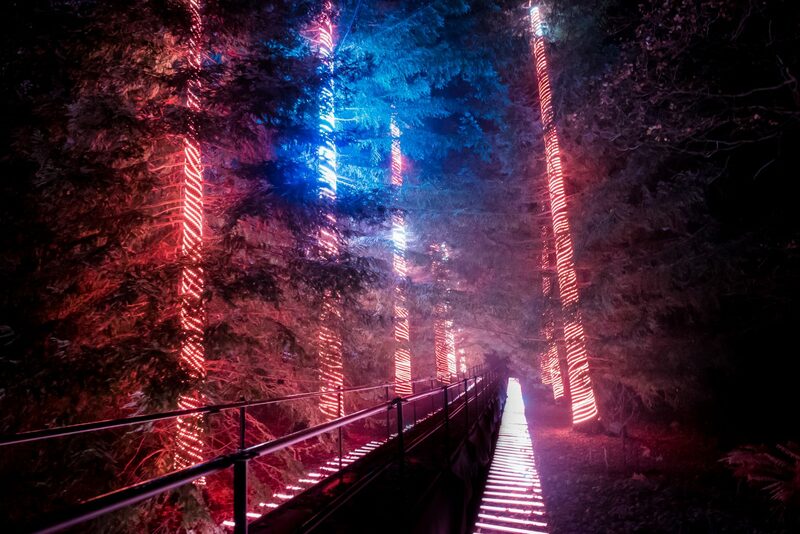 This huge, outdoor walk-through sound and light experience was designed to highlight the Boardwalk path and Giant Redwoods at Bedgebury Pinetum in Kent. 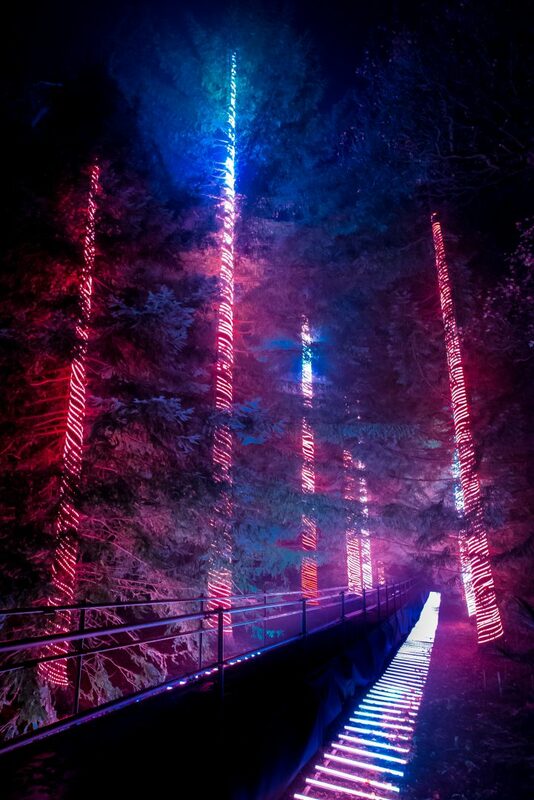 We created a raised path of animated light for audiences to follow through the giant illuminated trees. 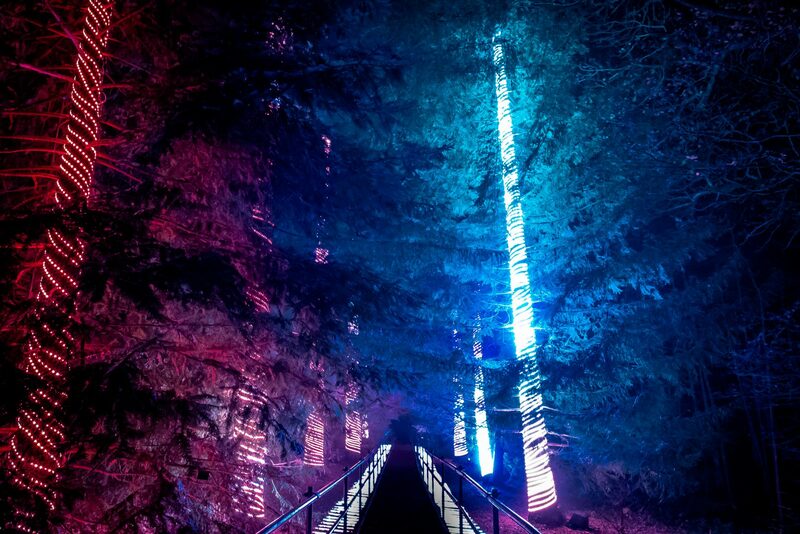 214 LED lights bars made a 60 metre long path through the trees that surrounded the audience with moving, multi-coloured lights in brilliant neon shades. 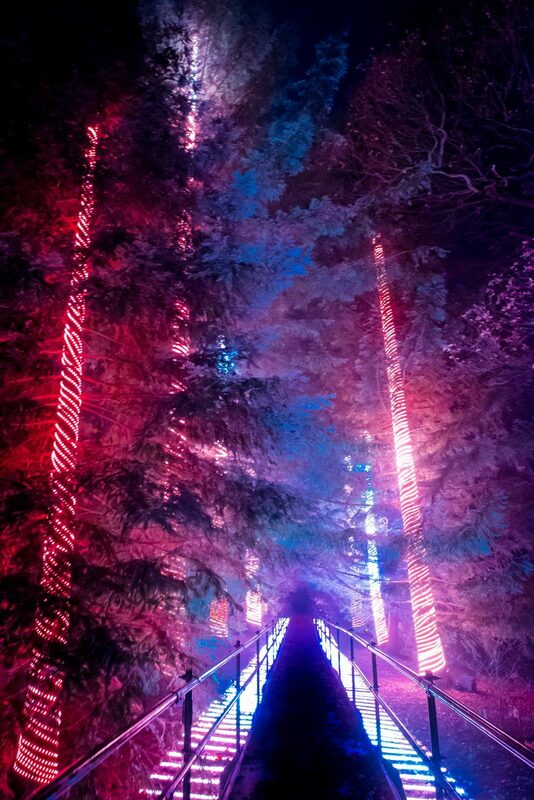 Nine glorious giant Redwood trees, each over 15 metres high, were decorated with spirals of custom built LED strip, allowing over 6,000 lights to dance up and down each tree in time with the Boardwalk animations. 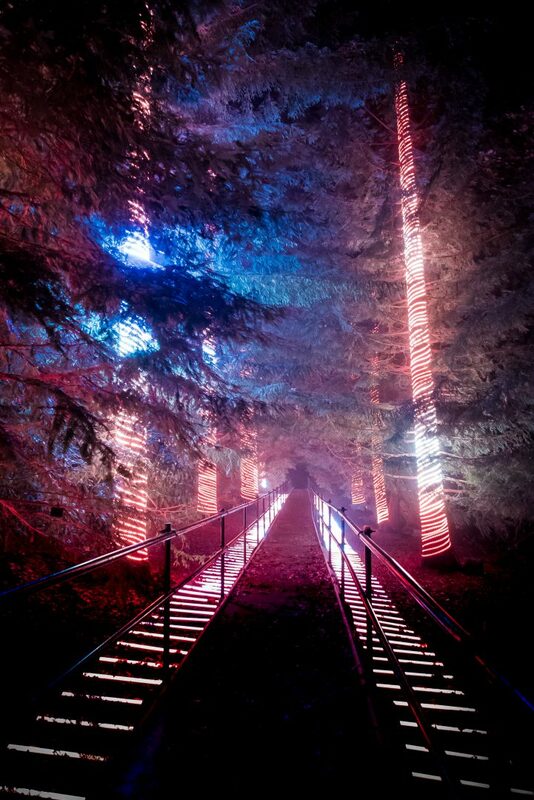 The twinkling of over 50,000 pixels bathed the forest with an ethereal glow of coloured light that could be seen by visitors from all over the forest, while guiding those on the pathway through a mirage-like series of distant vanishing points. The lighting was complemented by a specially adapted musical soundtrack and sound design.